Central processing units (CPU’s) and integrated circuit (IC’s) chips are intricately related. A CPU is an internal processing unit of circuitry that interprets and carries out computer programming. 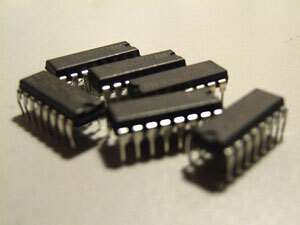 An IC is a set of circuits constructed on a single semiconductor wafer or chip, in which the components are interconnected to perform a given function. ICs range in complexity from simple logic modules and amplifiers to complete microcomputers containing millions of elements. Control IC’s are essentially motion processors on a chip that control multiple devices.